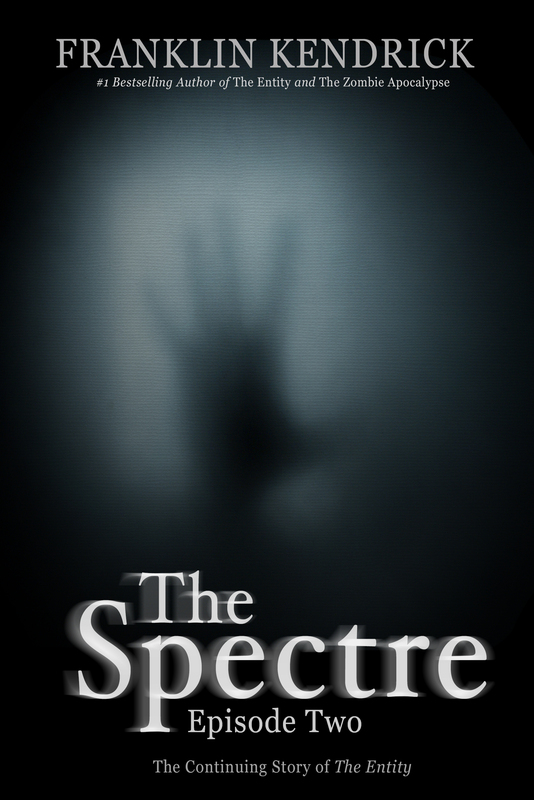 It’s finally here – Episode Two of The Spectre is available on Amazon. If you’re curious what awaits Heather and Eddie as they continue their stay at 60 Legion Square, here is a little taste of the paranormal activity they will experience. You won’t find this excerpt anywhere else! Heather paused another thirty seconds in silence, waiting to see if she could hear someone moving around. But, there was nothing. The place was as silent as it should have been. There was nobody else here with her. Then she saw something that made her blood run cold. Through the edit doorway, just around the corner, the bathroom light clicked on. Heather pushed back in her chair and immediately stood straighter than a pin. Her heart thumped against her chest and her breathing quickened. If there’s nobody here, she thought, then who turned on that light? She swallowed the lump in her throat and reached out to grab a stapler from her desk, flipping it open in order to use it as a weapon if she needed to. Then, at least somewhat armed, she started creeping towards the bathroom. Nothing moved. The light remained on. There wasn’t even a shadow of a person from the light. Sure enough, as Heather came to the bathroom door, she saw the tiny space was completely empty. She blinked a few times, the only sound being that of her breathing and her pulse pounding in her ears. Before Heather knew what was happening, an icy blast of air came swooping from within the bathroom. The air blasted through her shoulders, chest, and stomach, and sent her hair flying over her shoulders. Every muscle in her body tensed and she felt like her feet had been cemented to the floor. Then, once the wind was completely through her, she bolted. There you have it. What is chasing Heather in the middle of the night? You’ll have to read to find out. Episode Two is available here in the US and the UK.